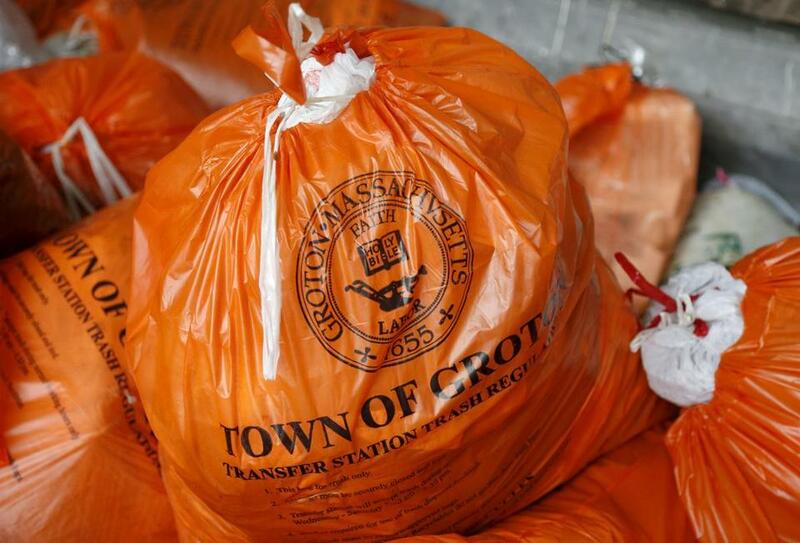 Garbage bags at the Groton transfer station are emblazoned with the town seal. “Seeing the Bible on a bag of garbage is what first made me think that our town seal’s design was not appropriate,” Fishbone said in an e-mail. But traditions don’t die easily in a town incorporated in 1655. When Fishbone launched an effort this spring to create a committee that would evaluate the seal and other town symbols, the proposal was shot down at Town Meeting. Separation of church and state notwithstanding, Groton is hardly unique among its neighbors. Of more than 50 seals in municipalities west of Boston, seven others feature references to God or religious symbols such as churches, crosses and Bibles: Carlisle, Medway, Natick, Needham, Littleton, Shrewsbury, and Boylston. Many of the logos were created in and around 1899, the year the Legislature passed a law requiring all cities and towns to have seals. Groton’s was designed a year earlier by a Groton native son, Samuel Abbott Green, who was by then a former mayor of Boston and a librarian for the Massachusetts Historical Society. That makes the seal nearly 120 years old. Yet the tradition of town seals is much older. John McEwan, associate director of the Center for Digital Humanities at St. Louis University, studies medieval seals and says the practice dates to the late 12th century in western Europe. Seals were used to authenticate documents, and over the past 800 years, they have all taken pretty much the same form: round, with text on the outside and an image on the inside. But they are more than bureaucratic formalities. In that sense, Fishbone thinks Groton’s needs a bit of an update. “What we ended up with was one Victorian-era gentleman’s vision of Puritan culture . . . increasingly out of step with the diverse and inclusive town we are becoming,” he said. It’s worth noting that the Bible didn’t represent everyone when Groton was first settled, either. Just over the border, the Littleton town seal is more explicit about the people who lived in Massachusetts before the Puritans arrived. 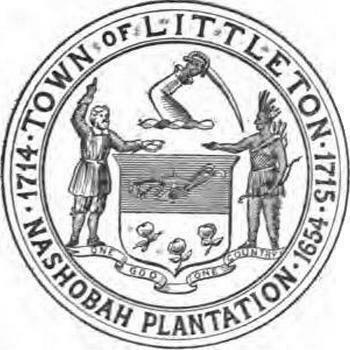 The Littleton seal portrays a Nashoba Nipmuc standing under the point of a sword as 17th-century missionary John Eliot gestures upward and emphatically extends a Bible. “One God — One Country,” the seal declares. Littleton was home to the sixth Praying Indian village established by Eliot. In all, about a quarter of the seals west of Boston have references to Native Americans, ranging from tomahawks to conversion scenes. Some are clearly inaccurate. Natick’s seal depicts Eliot again preaching, this time at an Indian camp. Peters, a Mashpee Wampanoag, looked closely: “We didn’t have tepees here,” he observed. Despite those inaccuracies, Peters believes that many seals tell a more nuanced story about the relationship between early settlers and natives. Wayland’s shows Indians living traditionally on their own land just as colonists arrive bearing a white flag of peace. 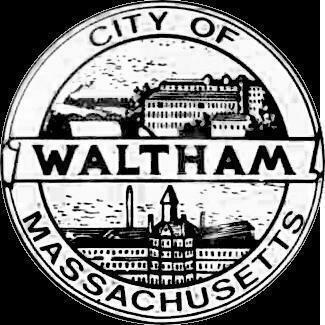 Towns like Needham and Watertown depict meetings of mutual respect on their seals. Of course, none of these images tell of the destruction from European diseases and later injustices to Native Americans when peace broke down, but they acknowledge efforts at cooperation and successful coexistence in early years. And while Peters opposes many of the state’s Indian mascots, he is more interested in exploring the history behind the seals than he is in changing them. “They each have a story to be shared,” he said, noting that towns have a responsibility to uncover and share those stories. Other town seals reveal a less troubled history. Nearly a third of them reference colonial history with a special fondness for the Revolutionary War. Another third take a fittingly civic angle, identifying themselves with town halls, libraries, and local monuments. Some, like Waltham and Marlborough, boast industrial pasts, with brick factories and local products. And a few, like Hudson, just take the easy way out with a tree and some hills. Many seals reveal just how much these towns have changed. Take Brookline’s for example. In the foreground sits a crowded jumble of agricultural objects: a few cows, farm tools, a beehive. The eye follows a tiny train puffing its way over the gentle waves of country fields from a city far, far away — Boston, apparently. Lucas Phillips can be reached at lucas.phillipshbl@gmail.com.